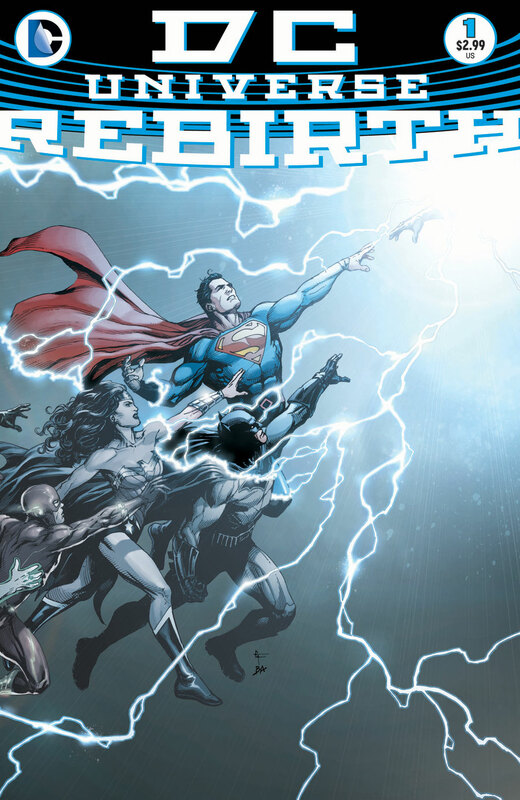 Past, present, and legacy begin to realign in DC Universe Rebirth #1, as this major DC Comics event, written by Geoff Johns, and featuring an all-star art team, including Ethan Van Sciver, Ivan Reis, Gary Frank, and Phil Jimenez, kicks off this epic with a mammoth 80 page story that encompasses virtually every conceivable aspect of the DC Comics universe. Someone said to me the other day, what’s the point reviewing it if so much about it has already been leaked and spoiled online? Good point I figured. So, rather than reviewing it in detail as such, I thought I’d simply surmise how this issue made me feel instead. Well, I must admit I came to this issue with a lot of scepticism. I’m not a big fan of reboots, relaunches, or big crossover events, frankly there have been so many few really interest me nowadays. That’s where DC Rebirth #1 differs, or at least it seems to. Split into four distinct chapters, and an epilogue, this issue actually felt more like a reinstatement of core values and themes at the heart of DC comics legacy, rather than a reboot as such, the fact that some of the plot focuses on two of my favourite characters in the DCU – Batman and The Flash – is another big plus point for me. Let me put it this way, I’d only just started collecting and reading comics again after a long break when the New 52 started. 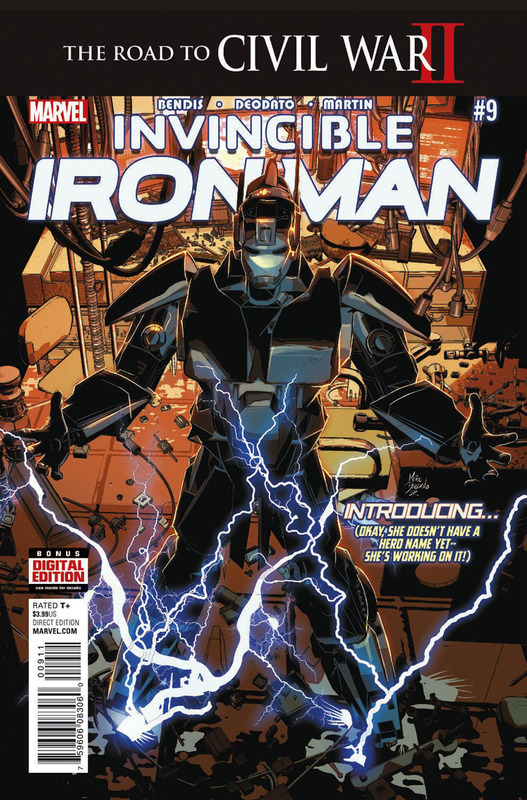 It was an exciting time, new spins on classic characters, everything was very different, but overall I enjoyed it. Over time though The New 52 didn’t always quite work for me, some of it felt very disjointed. DC Universe Rebirth #1 goes some way to readdressing the balance in my opinion, the main character in this issue makes a desperate timey-wimey voyage through the DCU, touching on numerous key moments and characters, essentially paving the way for many classic characters, and teams to return. DC Universe Rebirth #1 reenergizes the legacy of the DCU, it made me feel like I was rediscovering DC Comics all over again, just like I did with the New 52, only this time it felt right, this time it felt a lot more like the DC Universe that I knew and loved so much from before. Geoff Johns densely plotted story is brought to life by the four artists; each with their own very distinct style. DC Rebirth is a beautiful looking book from cover to cover, in terms of visuals; this is one of the most impressive DC issues I’ve read of this kind in a long while. 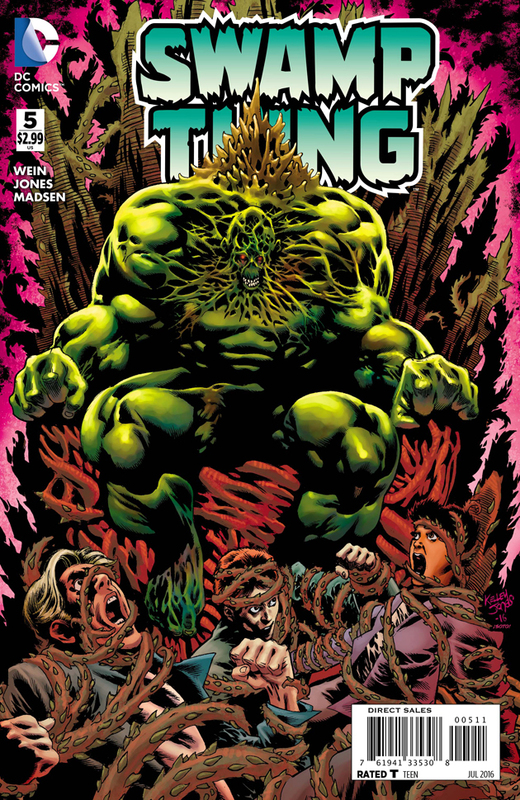 With much of the book colored by Hi-Fi or Brad Anderson, their work brings an underlying sense of consistency throughout the issue, which helps ensure the differing art styles never jar with each other or distract you from the story – which can often be the case when so many people are working on one issue. If anything, the attention to detail here is staggering, the sheer emotion, and drama conveyed in some scenes is genuinely moving, particularly towards the end, with a major discovery rounding things off with a bang, before a surprising epilogue knocks it out the park in fine style! Check out the new extended trailer for Independence Day Resurgence. Directed by Roland Emmerich, Independence Day: Resurgence stars Liam Hemsworth, Jeff Goldblum, Bill Pullman, Judd Hirsch, Vivica A. Fox, Brent Spiner, Charlotte Gainsbourg, Jessie Usher, Maika Monroe, Angelababy, William Fichtner, and Sela Ward. The movie will be released to theaters on June 24th, 2016. After commandeering a Biotron, rogue space pirate Oziron Rael narrowly escaped from the Valtricos Research Station, along with danger-loving Space Glider Phenelo-Phi, space-warrior Acroyear, and orbital defender Larissa, together they must evade the automated Phobos Units while Oz’s first mate, the small robot Microtron, attempt to reach them in the Heliopolis. 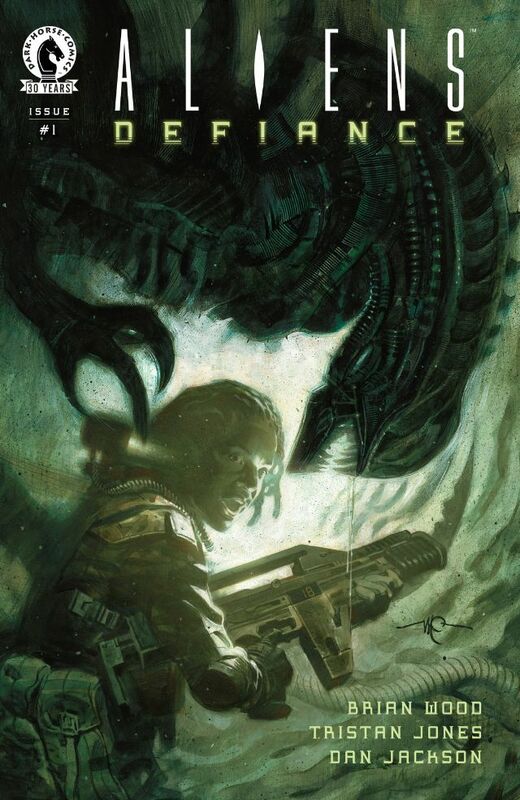 The pace builds quickly as writer Cullen Bunn piles on the frenetic action, with deadly Phobos Units closing in for the kill in space and a dangerous freefall to the planets surface, that ultimately leaves the Heliopolis badly damaged and the crew marooned on an outback world. From here the issue slows down somewhat, as the crew make a parts run to a nearby settlement. I like how David Baldeon uses this opportunity to showcase the different characters, we get to know more about the political situation and conflict in this universe, and discover why Oz chose the path he has taken in life. Its not long before their peaceful stay is interrupted by the arrival of a deadly automated biological weapon and the incursion of hostile forces, this highlights how well the group bands together as a team, and really showcases their abilities in a tense combat situation – particularly when it comes to Larissa’s energy shields. The art by Max Dunbar elevates this issue even further. There are some really striking action set-pieces, with the dramatic escape from the space station and the battle with the Acroyear Swarm delivering impressive visuals. I especially like Microtron, the quirky robot first mate of the Heliopolis gets all the best lines, Acroyear’s and Space Glider’s banter is also a lot of fun, and the characters and settings are all well realized by Dunbar’s highly detailed artwork. David Garcia-Cruz’s colors are rich mix of bold shades for the characters and robots, while more subtle tones define the planets surface and the settlement, and the combat situations are awash with dramatic fiery explosions that accentuate the pace of the action perfectly. This is a very modern reimagining of the Micronauts, although there are still plenty of classic elements for long-term fans to enjoy. Cullen Bunn and Max Dunbar have done a good job of establishing and refining the premise of this new series with Micronauts #2, the team of characters is shaping up nicely, and the issue closes with the surprise arrival of another very familiar looking character. This new Micronaut series from IDW has got off to a strong start, sure, there are a few niggles that need ironing out, but overall I’ve been impressed with the story and art so far, and I’m looking forward to seeing what Cullen Bunn has in store for this series. New Trailer For Star Trek Beyond! Paramount Pictures have released a second trailer for Star Trek Beyond, the trailer features loads of new footage, including scenes with Idris Elba and Sofia Boutella. I’m really looking forward to this movie! 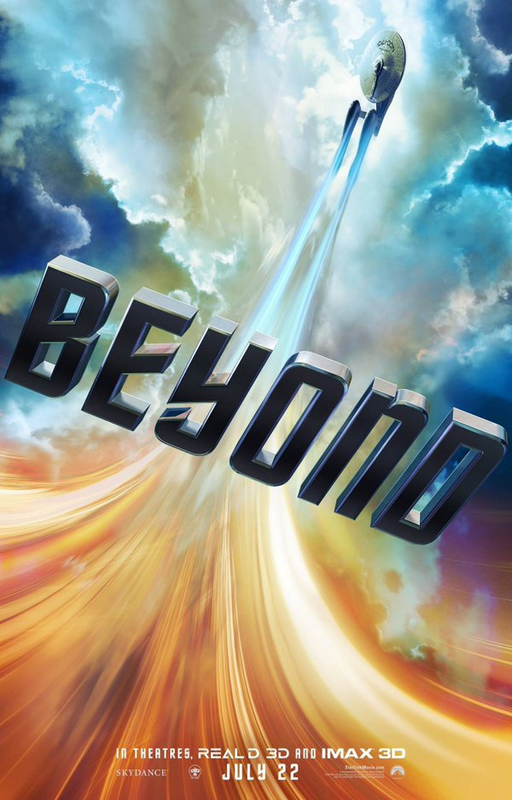 Check out the new trailer & poster for Star Trek Beyond! Who ya gonna call? 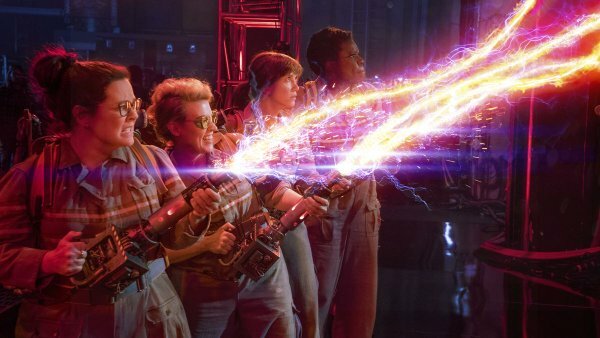 Check out the new Ghostbusters trailer! While I’m still not entirely sold on the idea of this reboot of Ghostbusters, this trailer does looks quite good. 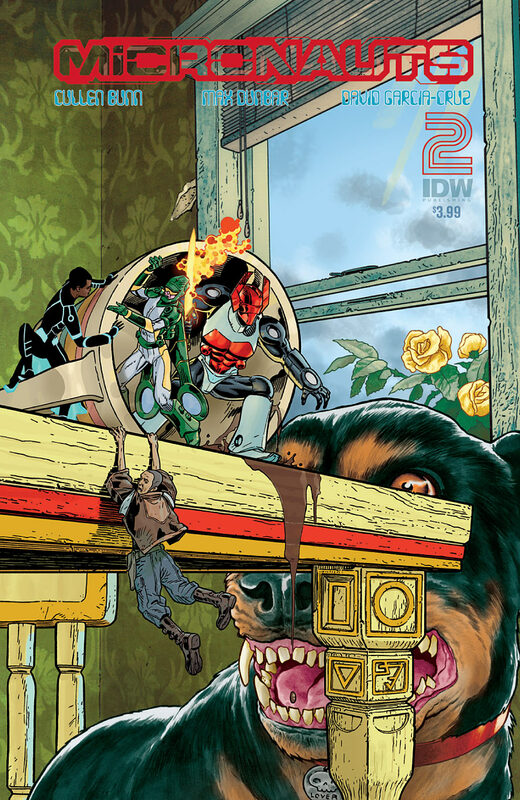 From beyond a dying universe, Acroyear, Space Glider, Biotron, and their many allies must escape the clutches of the evil Baron Karza in The Micronauts #1, the brand new series from IDW Publishing, written by Cullen Bunn and featuring art by David Baldeon. Based on the fondly remembered toy line and popular Marvel comic book series, this new take on the Micronauts splices science and magic in a universe where natural recourses are exhausted, Barron Karza rules supreme, and the legendary power of the Time Travellers offers the Micronauts their only hope for survival – but could their salvation mean the end of our own world? While it’s not exactly the same team of Micronauts from the original Marvel title by Bill Mantlo and Michael Golden that debuted in 1979, we won’t see Commander Rann, Marrionette, or Bug, as IDW’s Micronauts series is an entirely new version by Cullen Bunn and David Baldeon. Don’t panic! There are still lots of popular characters for old school Micronaut fans to enjoy in IDW’s new series that are based on the original toy line of interchangeable action figures, vehicles, and comics. There’s no misstating that writer Cullen Bunn is a huge fan of the Micronauts, he brings a fantastic new slant on the series and characters with The Micronauts #1, and its done with such style and dedication to the source material that you’ll be relived to know that this reimagining is in such safe hands. It certainly ticks all the right boxes for Micronaut fans and newbies alike, as we are plunged into the universe threatened by an reality shattering Entropic Wave whilst a civil war rages between The Ministry of Defence and the Ministry of Science. After the dramatic opening on a doomed world observed by a contingent of Biotron’s, Cullen Bunn quickly introduces us to the intrepid crew of the star ship Heliopolis, an interesting mix of old and new characters including rogue space pirate Oziron Rael (Oz), thrill-seeking Space Glider Phenelo-Phi, the space-warrior Acroyear, and Oz’s first mate on the Heliopolis, the loyal, though often sarcastic, robot Microtron. When a deal on Micropolis-12 goes bad, Oz and his crew have to strike a deal with the wheeler dealing Hezlee to retrieve urgently needed medical supplies from a space station being blockaded by Baron Karza’s forces. Along with new crew-member, the tough orbital defender Larissa, joining Oz’s crew of the Heliopolis on this mission, we catch up with the villainous Baron Karza, who it seems has lost none of his military cunning and ruthlessness. Meanwhile, a quick warp jump away, the crew of the Heliopolis find the Valtricos Research Station has some rather nasty surprises in store for them! I love the uncanny juxtaposition of science and mysticism in this new Micronaut series, it brings an entirely new spin on the Microverse / Innerverse as we know it, and the characterization is also excellent. This issue does a good job of introducing the new characters and setting up the storyline, and we still have old favourites such as Acroyear, Microtron, and of course Baron Karza in this issue as well. The art by David Baldeon is very impressive, along with finishes provided by Fico Ossio, Max Dunbar, Jack Lawrence, and colors by David Garcia Cruz, Joaa Lafuente, Thomas Deer, and John Paul Bove. From those apocalyptic opening moment, to the events that bring Oz and his team together, and the action packed sequences on the space station, The Micronauts #1 is a really impressive looking issue. The Entropy Cloud is an amazing sight, Baron Karza is as powerful and as imposing as ever, the space station is dark and menacing, and the colors employed throughout the entire issue complement the incredibly detailed artwork very nicely indeed. The issue races towards an explosive climax, as the space stations true purposes is uncovered, and it looks like Oz has greatly underestimated their mission. 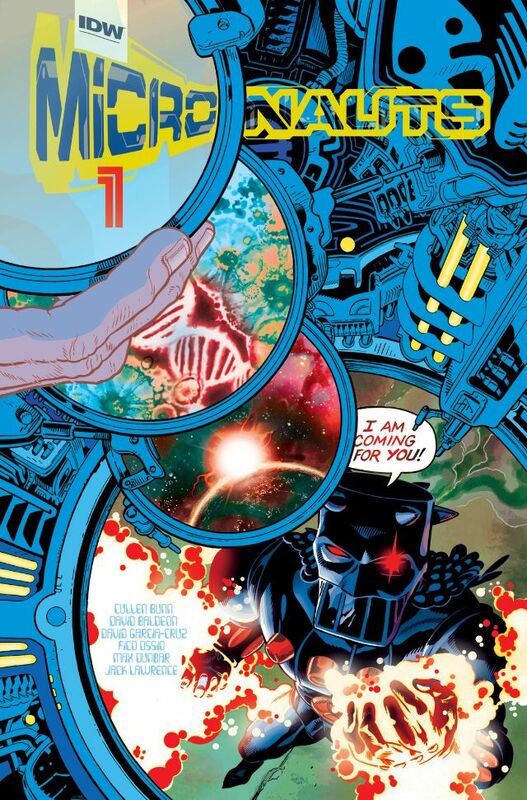 While it may not be the Micronauts of old, this new IDW series makes The Micronauts #1 a fun, exciting, and visually impressive new beginning to this fantastic series!